As they say, all good things have to come to an end – what goes up.. must come down. After an amazing two years, I’ve come to the decision to close Bin Weevil Company. All the content (e.g our posts and pages) will remain for people to view, but no comments will be approved. Thanks everyone for the amazing time I’ve had running Bin Weevil Company, it’s been a pleasure. 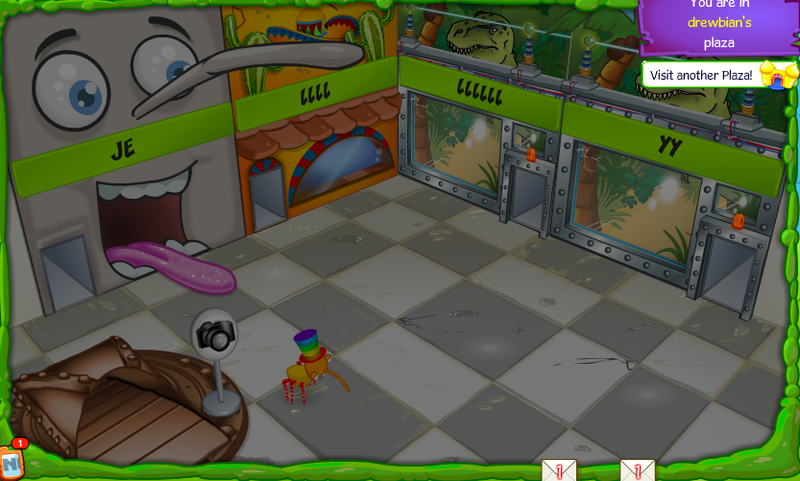 Bin Weevils Staff: Plazas Open! 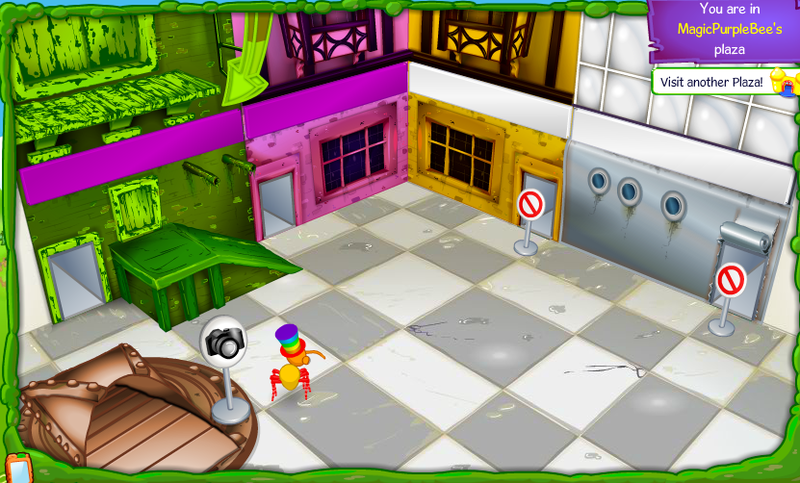 Amazing news, Today Bin Weevils staff opened the plazas to there nest. I got a good sneak peak firstly on my own when I was going to my buds plaza but I changed my mind and saw MagicPurpleBee’s nest open! Awesome! About 10 minutes later, someone spotted that Drewbian opened his plaza, I got quite shocked myself because they have never done this before but now they are starting to do this! On the 16th February 2015 (Monday), Bunty is making her first appearance in the bin! 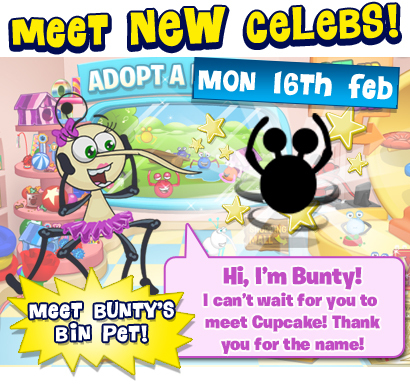 Bunty is a awesome character who is becoming a celeb and is bringing her bin pet, Cupcake! Bunty will be on at 4:00 (16:00). The party locations are Bin Pet Paradise, Nest Street and Flums Fountain! Here at Bin Weevil company we will be posting pictures of her! Thanks for reading! What happened this morning is that a plane lost control and sadly has killed 27 People in Asia. At least 15 people have been pulled out alive, with 18 still missing. Television footage showed some passengers wading clear of the sunken wreckage and a toddler being pulled out alive by rescuers. Shown in the video above, There is a baby who has been in the accident and as lucky alive but is really in danger! I would like to thanks BBC News for posting this, this morning and I am sharing this hard work here today! Weevily wow! Guess who’s back on Bin Weevil Company? 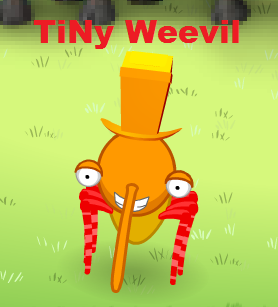 That’s right, Tiny-Weevil (me) has returned after a long break! I have been away, because I have been quite busy on games, which I have now moved on from and no longer play, so I decided to come back to blogging! I met up with hf556 and he said I could join this blog once again! If you are new to Bin Weevil Company and you don’t know much about me, then where have you been! I am Tiny-Weevil aka Achelous and I’m an ex Bin Weevil Company author.. or shall I say returning Bin Weevil Company author! I shall be posting daily I hope you all remember me, goodbye for now. Bin Weevil Company New Years Day Party! Scary huh.. not long until 2015 now and it feels like only yesterday we entered 2014! To celebrate, the Bin Weevil Company team have decided to have a party to celebrate! We are expecting some moderators to pop along and possibly some Bin legends! It would be greatly appreciated if you could share the party poster above with your friends and family as we would like as many people as possible to come along! You may also share this post on social networking sites, such as Twitter, Google+, Facebook.. I was just searching through a load of images and I found something quite interesting to do with the Winter Wonderland. I looked closely to this and me and my buddy’s thought for a second it was the 2011’s Winter Wonderland, but then I saw the Bin Bin’s Freeze, which was all exclusive to this year. The exclusive news is that, there is Snappy’s Winter Photo Studio, which hf556 posted a sneak peak of and I’ve found the outside area of it! Here is what Winter Wonderland will finish up to look like, at the end of this year! Wow, looks Awesome! We will update you more when the official Bin’s Big Freeze opens! It’s me Tiny Weevil, I am back on Bin Weevil Company after getting caught up in a load of class work! If you have missed my awesome posts, do not worry, because I am back with a cracker! I will be now posting at least 4-5 times a week to catch up on my posts while I have been gone. Also While I have been gone, I have moved up a level too 65 what is fantastic, dont you agree? Bin Weevil Company Halloween Was An Absolute Success! Bin Weevil Company Halloween Party 2014! With Halloween literally around the corner, what good would it be, without celebrating with the team here at Bin Weevil Company? That’s why we’re going to be having a Halloween party! We understand that quite a few of you will be going Trick ‘N’ Treating, so that’s why we’ve put the party quite early in the afternoon.